Having travel insurance helps give travellers peace of mind during their holidays. Confidence that in the event something does go wrong, their insurance can cover the costs of the dilemma. And travel insurance has never been easier to get, with some credit card companies even offering travel insurance with the purchase of their cards in a bid to encourage more people to buy their products. 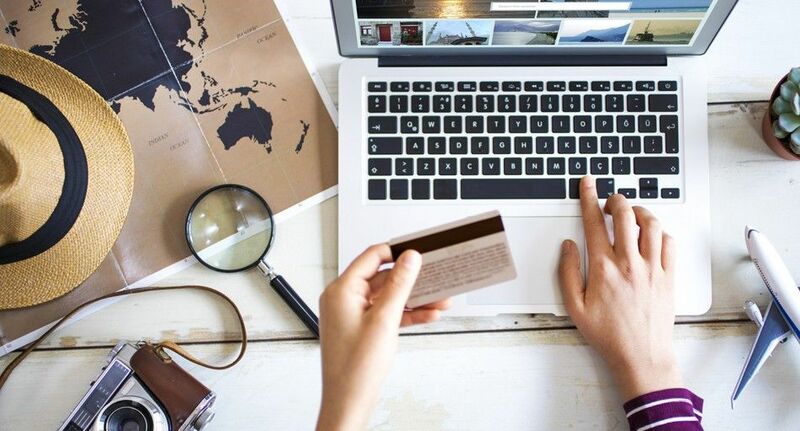 A survey of 1000 Australians conducted by Budget Direct Travel Insurance has revealed some of the common misconceptions the general public have about credit card travel insurance and the level of cover it provides for travellers. Not all insurance is alike. While you might have read somewhere in the starter pack information that your credit card comes with complimentary travel insurance, reading the product disclosure statement is not something most Aussies do. Only 41% said that they read the product disclosure statement in detail, 31% say that they skimmed through the information and 28% of respondents said that they didn’t read through the information at all. This means up to 59% of people might be unknowingly uninsured for part, or the entirety of their trip, given the conditions and exclusions included in the insurance disclaimers. 48% of people who said they had lodged a claim with their credit card travel insurance in the last twelve months said that they were left out of pocket, not including their excess, with the insurance not paying out for the full amount. Most people don’t realize, 71% to be exact, that there are exclusions and conditions on who is actually able to claim on the insurance provided by a credit card. Simply owning a card that includes travel insurance doesn’t mean you can actually access and claim on the insurance. Some of the conditions and exclusions that disqualify credit card owners can only be found in the small fine print, such as the common clause that people over the age of 80 are unable to claim on the credit card’s insurance due to the increased risk of incident while travelling. Another condition that can leave travellers in the lurch is the three month limit for travelling. People who travel for more than three months consecutively can be disappointed to find their credit card travel insurance doesn’t cover them for the entire duration of their trip. Something else 70% of respondents weren’t aware of is the condition that if they purchase different parts of their holiday, such as flights or accommodation, using a different card, they might not be covered for the flights or any other activities. Some cards also require a minimum spend on the card in order to qualify for the insurance. When asked why they had chosen the credit card travel insurance ahead of other forms of insurance, respondents revealed three of the biggest misconceptions held about credit card insurance. Unfortunately, the reality of credit card travel insurance is not living up to Australia’s expectations of them. Just owning the credit card does not ensure that you and your family will be covered, so it’s important to check to see just who is covered by the insurance. Another misconception Australians have is that the travel insurance from their credit cards is actually complimentary. 34.1% of respondents answered that they thought their travel insurance was free. It turns out that most credit card institutions actually charge for the insurance, with the secret cost snuck into their annual fees, raised interest rates or the application fees themselves, which you pay whether you try to access the insurance or not. And while 24% of respondents said that the amount of cover provided by their credit card travel insurance was enough, we know that nearly 50% of people who actually claim on their insurance were left disappointed and with unexpected expenses from claims not paid out in part or full. One of the largest areas of confusion for Australians was their understanding of the differences between credit card travel insurance and standalone travel insurance. When asked if they believed if credit card insurance offered them the same level of protection as standalone travel insurance, 19% of respondents said that they offered the same amount of cover, while 54% of respondents were unsure. Often the limits of credit card travel insurance are significantly lower than those of standalone insurance, making it important factor to check in the product disclosure statement. In regards to the excess that needs to be paid on any insurance claim, 82% of respondents were uncertain if credit card insurance had a lower excess than standalone. Only 18% of Australians were correct in assuming that credit cards actually charge a higher excess for all travel claims. The survey also revealed that only 32% of respondents would choose credit card travel insurance over a standalone policy. From 2016 to 2017, Smartraveller determined that there was a decrease in the amount of people organizing their travel insurance through their credit cards and an increase in insurance bought through insurers. This could be the result of either the number of caveats accompanying credit card travel insurance, resulting in people not getting the coverage they need or the growing awareness of the pitfalls of credit card travel insurance itself. This survey was conducted by Pure Profile on behalf of Budget Direct in March 2018. All figures are from this research unless stated otherwise. The survey was conducted online with a total sample size of 1,000 weighted and representative of all Australian adults (aged 18+).